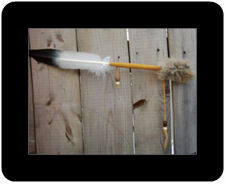 Birds are regarded as a messenger to carry our prayers to the Great Spirit. 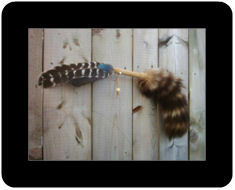 A Prayer Feather is commonly used while smudging. 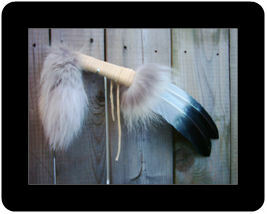 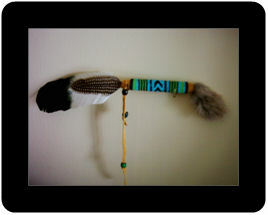 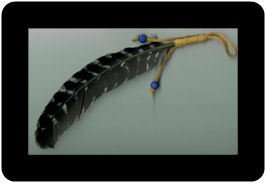 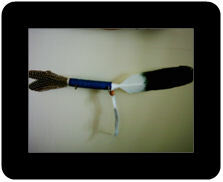 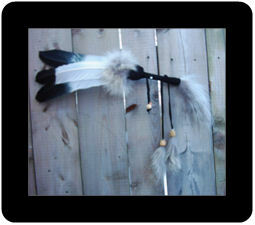 The feathers used in the making of the Prayer Feathers are imitation Bald Eagle feathers. 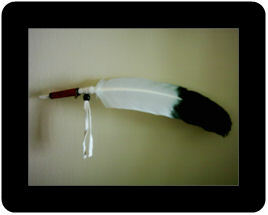 The ones that are white with the black tip are an imitation of a feather from a mature Bald Eagle. 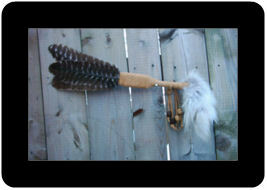 The ones that are mostly brown are an imitation of a feather from an adolescent Bald Eagle.